The weather is starting to get warmer and that means time to give the oven a break. 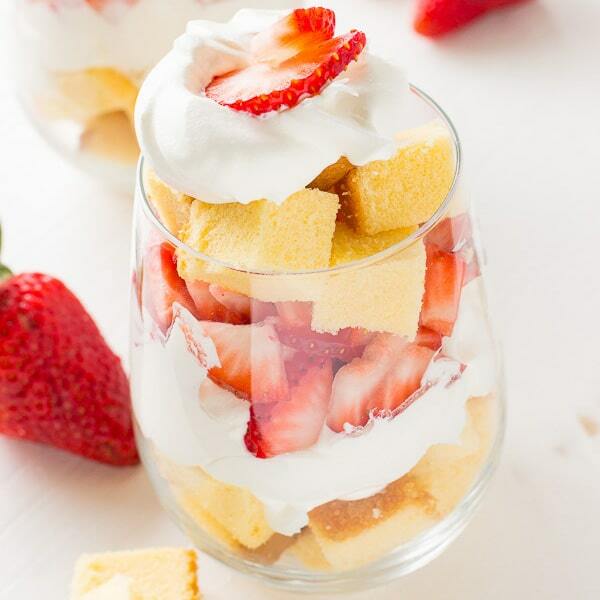 I love making these Strawberry Shortcake Trifle Cups during the warmer months because not only are they no-bake but they make the perfect dessert for a backyard BBQ. 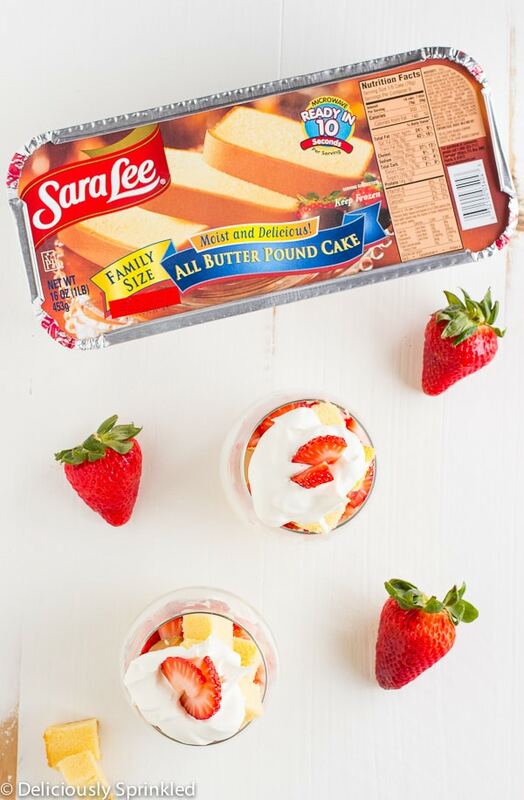 To make these Strawberry Shortcake Trifle Cups all you need is Sara Lee® All Butter Pound Cake which I got at Walmart in the frozen section. I love using pound cake because it always makes a delicious dessert that brings my family together. 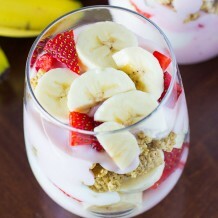 Lastly, you will need fresh strawberries and whipped topping. And that’s it! ✓ FIRST THINGS FIRST, OBVIOUSLY THE POUND CAKE HAS A DELICIOUS TEXTURE AND RICH FLAVOR. ✓ IT’S MADE WITH THE FINEST BUTTER AND WHOLE EGGS. 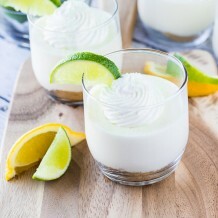 ✓ IT’S ALWAYS SEASONABLE AND A PERFECT SWEET TREAT TO SERVE TO MY FAMILY & FRIENDS. 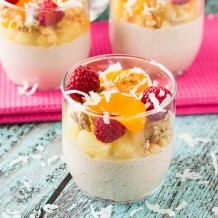 ✓ AND FINALLY, IT THAWS IN 10 SECONDS IN THE MICROWAVE PER SLICE. 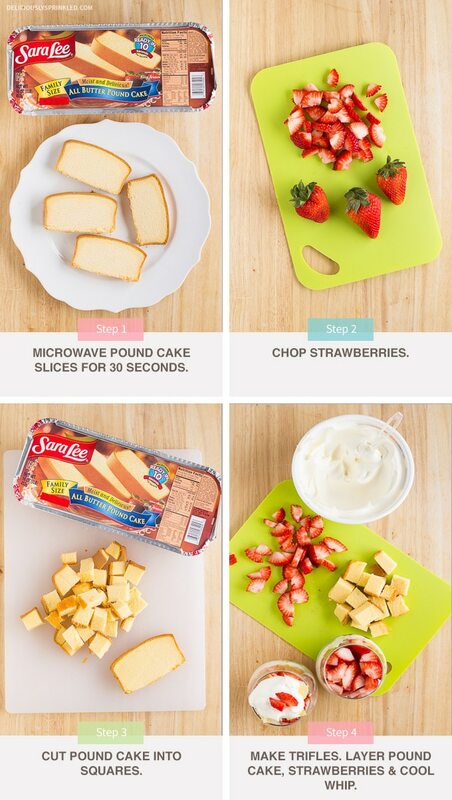 STEP 1: Slice pound cake and place on a microwavable plate. Microwave slices for 30 seconds. STEP 2: Chop fresh strawberries. STEP 3: Cut pound cake slices into cubes. 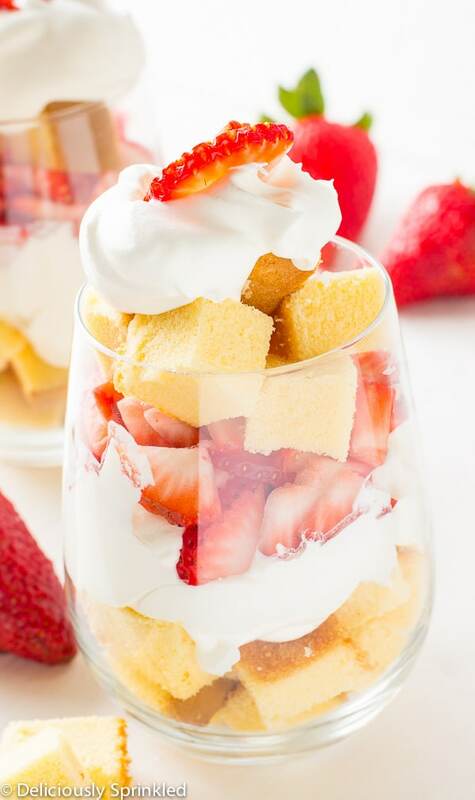 STEP 4: Layer with pound cake, cool whip, strawberries, pound cake and top with more cool whip topped with some chopped strawberries. 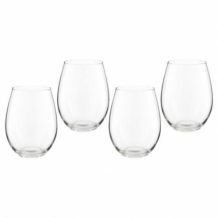 *STORE: Store leftover trifle cups in the refrigerator for 1-2 days.